The renewal process for Membership of the official LFC branch began some time ago. The club has been informing members that renewal was automatic. Please check your bank statements and emails to see if you have been charged by LFC. 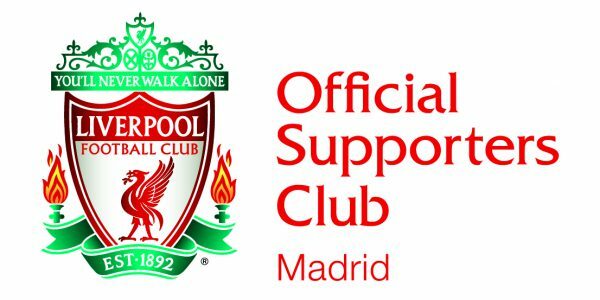 PLEASE NOTE: Those wishing to apply for membership for the first time you have to highlight the fact that you belong to the Madrid Reds branch each and every time you request tickets through the branch. As such, once you have your membership you must link it to the branch through the Friends and Family system. In order to do this correctly please contact Simon H by email and he will talk you through the process. Please remember that apart from requesting tickets through the branch you are also able to request tickets personally when they go on sale. An “early bird” offer of 18€ is available if you pay before September 30th 2017. How do I renew/become a member and pay the Madrid Reds fee? The information we ask for is the minimum needed to manage Madrid Reds, but it is important owing to changes in Data Protection laws and therefore that you agree and give your approval for the use of your personal information. For the same reason, we insist that current members resend their information. After receiving your data we will send you an email with the bank account number to which you should pay your fee. Please do not contact us via Facebook, personal emails, whatsapp or any other channel. The above email is the only valid method for subscription. 2- We will send you the account number. 4- Then send an email to info@madridreds.com confirming who made the payment. What are the benefits of being a member of Madrid Reds? Obviously anybody that comes to see the games at the Triskel Tavern can become a member and what´s more we´d be delighted to welcome you. However, one of the main reasons for becoming a member is that Madrid Reds offers you the chance to belong to a community, a family as well as having the opportunity to go to Anfield through the branch. Premier league fixtures will be released on Thursday June 14th so from this point onwards we will look at our options. In July and November we will ask the branch which games they would like to attend. The club will then confirm if we are succesful or not and how many tickets we will be allocated. – 3 in the first half of the season and 3 in the second. The club asks us to choose the games we want to attend in the first half of the season in july and in November for games in the second half of the season. The commitee will choose the games that we want to attend. We have decided this because the club has stopped us from requesting tickets for matches against the same teams year on year. Additionally, matchdays can be changed from Saturday to Sunday and, with the various petitions we receive from members, we felt it best proceed this way given our experience over the last ten years at Madrid Reds. Please remember what we mentioned earlier, as Membership holders, you are free to request tickets individually, independently of the branch, when they go on sale. We also ask that once we know the matches that we have been allocated tickets that members request tickets responsibly knowing full well that they will able able to travel to Anfield on the specified date. Usually we have lots of requests for tickets and then later people drop out or decline their tickets (at the last minute). This causes us a many problems not only financially but also in terms of the way the club views our commitment to ticket allocation and our other requests. Match tickets are paid separately but the branch administers this receiving the money in the aforementioned account. LFC usually contact us for payment 8 weeks before the game. This year we expect ticket prices to vary between €45-70. On the vast majority of occasions we have been given tickets all together on the Kop. However, this is not always the case and we have been given tickets in every nook and crany of Anfield over the last 10 years. We pay the same as every other fan that goes to the stadium unlike internet ticketing agencies who hike up the prices. Please note that the Branch only has the right to a Premier league ticket allocation. We don’t have tickets for Cup or European matches with no exceptions. However, having an LFC membership allows you to request cup matches individually. Every year we try to have an official Madrid Reds branch trip usually in the first half of the season (September/October) in order to avoid problems with television rescheduling. The branch only adminsters the ticketing operation. We do not reserve flights or hotels. This you do yourself independently. Clearly, we can provide advice based on experience. * Every season each branch member receives a gift. Up to now we have had everything from scarves,T-shirts, Polo shirts, key-rings, breakfast glasses and pint glasses. * Any remaining money in the account at the end of the season goes towards the end of season party, towards the cost of making Branch banners and towards anything that management consider necessary towards the running of the organization. A donation to the LFC foundation would also be considered if this was approved. * Another aspect of membership of the branch that we are looking into is participation of the branch in the LFC Foundation events. We are thinking that it would be good to repeat iniciative within the Comunidad de Madrid, supporting local charities in the name of LFC: for example, food banks (our contributions via Aaqua over the last 2 years have been a great success). * As a branch we all need to think of initiatives we can get involved in: social, sporting etc. We are open to you contributing articles on the web and on Facebook etc. We are open to writing contributions to our website and social media. Contact us if you wish to participate. Your contributions can drive our website! If you have any questions pleaseadress them to info@madridreds.com Not through Facebook, Whatsapp, personal emails, telephones etc. Please!